The Natural Sciences Museum of Barcelona, together with Barcelona Ciència, hosted the 2018 Ecsite Directors Forum on 14-16 November. 68 Senior Managers of Ecsite Full member organisations got together for 2.5 days of networking, high-profile talks and workshops and peer learning around the topic "​Science engagement organisations as Citizen labs". Browse through the pictures, check out the programme, get a glimpse of social media activity on Twitter and read our summary. Save the date: the next edition will be taking place on 13-15 November in Trondheim, Norway. It will be hosted by the Trondheim Science Center and the Norwegian University of Science and Technology’s University Museum. Two keynote speakers shared their thoughts on the "Science engagement organisations as Citizen labs" theme: Artur Serra, European expert in living labs and citizen laboratories and Lucia Malfent, active for an Austrian organisation advancing open innovation principles in science. The programme also entailed a marketplace workshop on open science labs and their potential for science engagement and an opportunity to exchange with the Ecsite Board in an 'un-conference' format. Social highlights included dinner at the Natural Science Museum on the first night, a field trip to two nearby Barcelona citizen labs on the second day and countless networking opportunities. For those extending their stay, special visits were offered on Friday 16 November to CosmoCaixa and on Saturday 17 November to the Museum's Botanical Garden. Science engagement organisations are agents of education, teaching and knowledge transfer, as well as places for public scientific discourse. They have the mission to inspire and empower people with science and shape the future of science engagement. They are key actors not only in knowledge generation, but also as mediators and facilitators between citizens and knowledge. Science engagement organisations can act as citizen labs or societal interface labs, promoting Open Science with the aim of stimulating creativity and critical thinking, empowering citizens through the dissemination of knowledge, and engaging communities in the research process, in particular at city level. Open Science allows knowledge to circulate more quickly and to be more freely available, thus making science and innovation more open, collaborative and global. Through these open science labs, committed citizens are developing solutions for complex societal challenges in which science and technology can play an important role (such as climate change, nature in the city, aging, water quality, or migration). Often working on a city scale, these citizen labs bring together and articulate the collaboration of entrepreneurs, researchers, educators, public officers and citizens. They also provide an agora space in which the societal implications and opportunities of cutting-edge scientific research can be debated in an evidence-based and democratic manner, bringing forth a greater understanding of the positive role of science in promoting the welfare of citizens, as well as a deeper awareness of the potentials of emerging technologies and research areas. During the 2018 Directors Forum we adressed how open science labs can become an opportunity for science engagement organisations, and to present a broad range of inspiring perspectives, case studies and good practices. The keynotes, sessions and interactive workshops addressed topics such as novel methodologies for involving citizens in open science, participatory mechanisms like crowdsourcing and gamification, and the value of open science in social innovation projects to tackle urban challenges, among others. Also (re)discover this timely Spokes article by Directors Forum keynote speaker Artur Serra. Commissioned by the Editorial Committee as an introduction to the Directors Forum, the article starts from a concrete citizen lab example in Catalonia, straightens out a few definitions, discusses the emergence of a fourth helix in the research & innovation system, and suggests a model to make Europe's "Open innovation, open science, open to the world" vision happen. What role can science engagement organisations play in this new universal innovation system? This is precisely what attendees discussed with Artur Serra at the event. 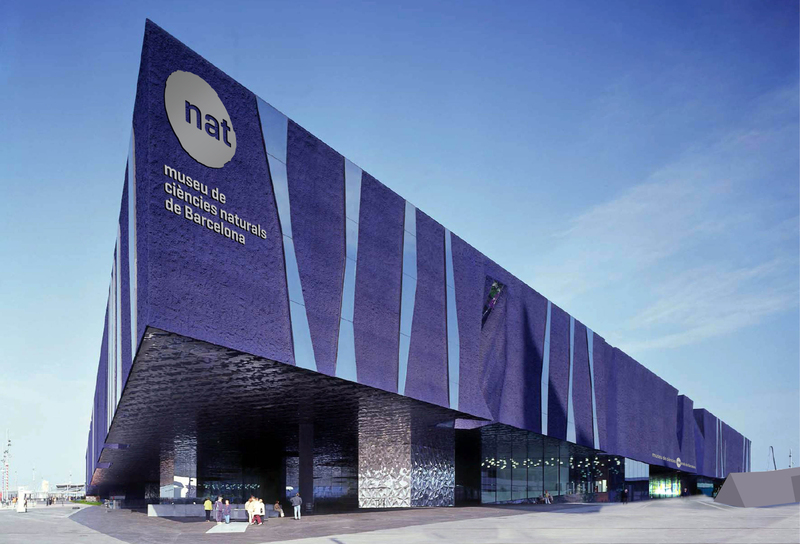 With 140 years of history the Museu de Ciències Naturals de Barcelona holds a patrimony of neary 4 million specimens. It consists of four centres located in three of the city’s emblematic Parks. Ciutadella Park houses the Scientific area (collections, research and documentation centre) and Martorell Museum (the historical building of the museum). Montjuïc is home to the Botanical Garden and the Historic Botanical Garden. And the Forum Park houses its most recent site since 2011 with new facilities (workshop rooms, laboratories, conference hall, media library, etc.) and a 3,000 square metre reference exhibition “Planet Life”. Barcelona City Council included in its Culture Strategic Plan new accents 2006 the promotion of science as an inseparable part of culture through the consolidation of the Barcelona Science Program to approach science and technology to society.